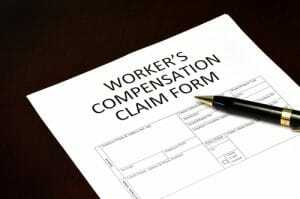 What Is Workers’ Compensation and How Can You File a Workers’ Comp Claim in NYC? If you have been injured or became ill while performing work as an employee in the Bronx, New York City, or anywhere else in NY, you may be eligible for workers’ compensation. It is important to know your rights so that you can be sure you will receive all of the appropriate medical care and compensation due to you. If you’ve been injured at work in New York whether or not you have a good relationship with your employer, you may need a law firm to help you get the compensation you are entitled to under the law in your particular state, whether that’s New York, New Jersey, or any other state. The Bronx workers’ compensation lawyers of Proner & Proner will also help with third party liability claims. Every state has a unique set of rules for documenting workers’ compensation claims. Proner & Proner is currently representing injured workers in multiple state workers’ compensation claims and we can advise you upon your request. Proner & Proner can help you fill out all necessary forms and make sure you get the compensation you deserve. There is no limitation on the type of accident that may be covered under a workers’ compensation claim. The claims that we typically hear about are often those that take place in the most dangerous of industries, like the construction trade. We have successfully represented injured workers who fell because of improper scaffolding, had slip and fall accidents, trip and fall accidents, burns, loss of hearing and fractures. As long as somebody is injured at work, their claim should be covered under workers’ compensation. The injured worker does not need to be concerned about who is at fault for the accident. If the injured worker sustained the injury at work, the claim should be covered under workers’ compensation regardless of fault. Did you suffer an injury in the workplace in New York, Queens, Brooklyn, or the Bronx, NY? For additional information about your NY Workers’ Comp claim, contact Proner & Proner in New York City today! If you’ve been injured at work, the most important thing is to get proper medical attention. Often an injured worker has questions regarding who will pay for their medical treatment and other health related expenses. If you’ve been injured while at work, expenses related to your treatment should be covered under workers’ compensation benefits. What Should I Do If I Am Injured at Work in NY? Aside from getting proper medical attention, the worker has an obligation to notify their employer at the earliest possible opportunity of the accident and that it did in fact occur at work. This notice to employer should be in writing, although oral statements to a supervisor sometimes suffice. If you need any help in navigating through what may seem a difficult process, hiring an experienced workers’ compensation attorney could help you and your family from losing out on valuable workers’ compensation benefits. At Proner & Proner, if we accept your case, we will immediately file all necessary paperwork for to make the workers compensation process simpler, as we do for all of our clients. What Should I Do If I Am Denied Workers’ Compensation Benefits in New York? Being denied workers’ compensation benefits is always of great concern. Workers’ compensation benefits may be badly needed to pay for rent, food, and other living expenses. Sometimes, acceptance of a claim may be easily achieved by providing supplemental documentation. Other times a denial may be because an employer denies the accident was work-related or that the injuries did not take place at the work site. A hearing can be requested by the injured worker and an experienced attorney can often establish the claim, providing the worker with back wages and all health-related expenses.